The Kitsap was my ride home from my day trip to the San Juans. I really enjoyed riding her on this unique assignment! But I can also say that I heard moans about it being the Kitsap while waiting in line to get on. 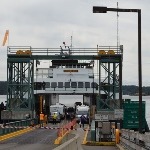 Oh well, the Kitsap will be loved by Vashon Islanders when she (hopefully) goes there. Thanks for that photo essay and commentary. You do great work, sir. 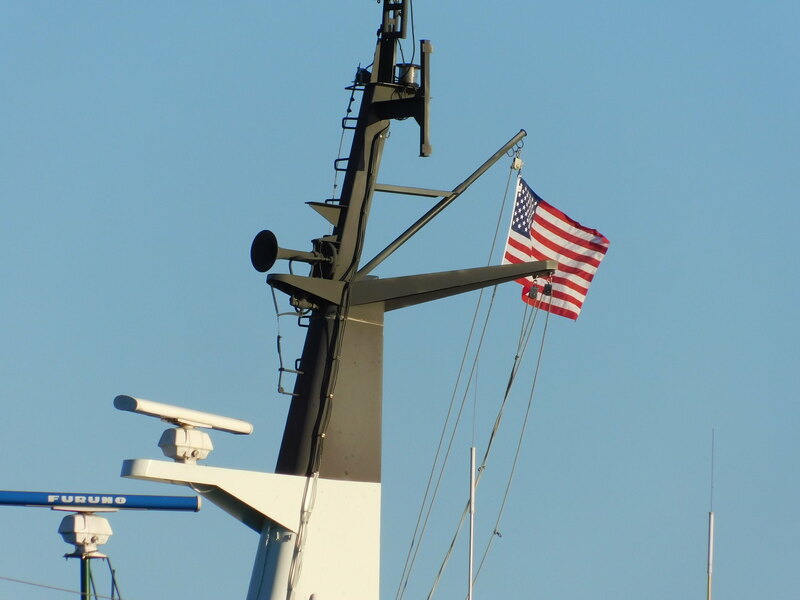 - what ship did you take outbound from Anacortes? Thank you! 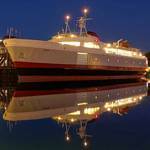 I took the Samish outbound from Anacortes, it just took me a couple more days to process my photos of the Kitsap. Oh yeah that reminds me! 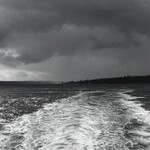 I have a slideshow of the Kitsap when I rode her in the Islands! Laser strikes" have been a known hazard for airline and helicopter pilots for years now, and errant users of high-powered laser pointers are increasingly being prosecuted. The newest pilots to be hit by such a laser were not in the air but at sea. 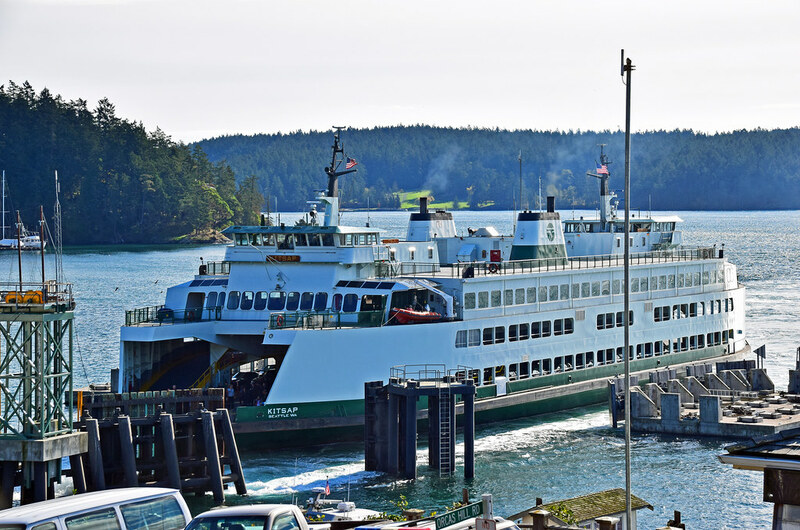 Washington State Ferry officials told Seattle's KOMO TV station that two men in their twenties pointed a blue laser at the Tokitae ferry as it approached the Clinton Ferry Terminal on Whidbey Island, about 30 miles north of Seattle. The two captains were in separate wheelhouses, at opposite ends of the 350-foot ship, when they were hit. 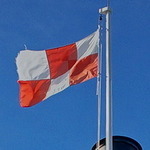 The chief mate, who was piloting the vessel at the time, was struck first. 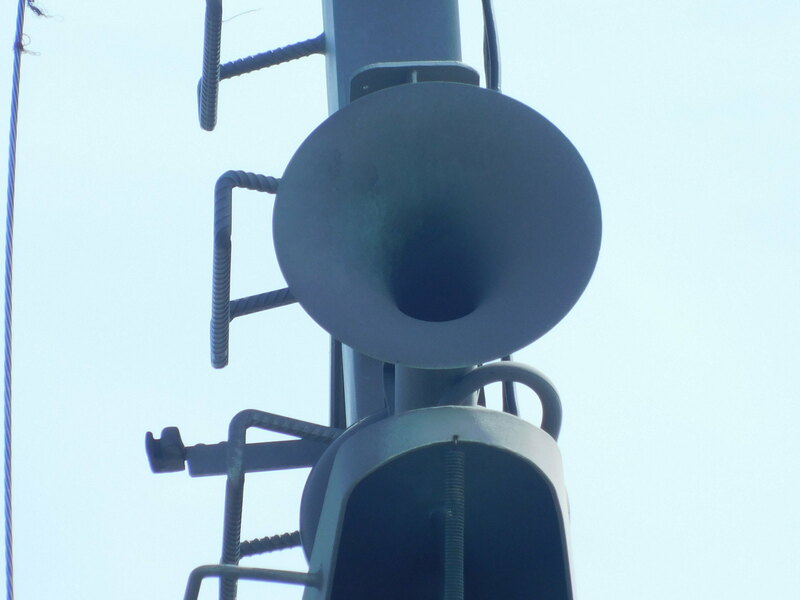 The captains both experienced it as a "blue-ish light that caused a lot of discomfort," Mooney said. Two men using the laser were apprehended by Washington State Patrol. They had been using the laser while standing on the deck of another ship, the ferry Kitsap. 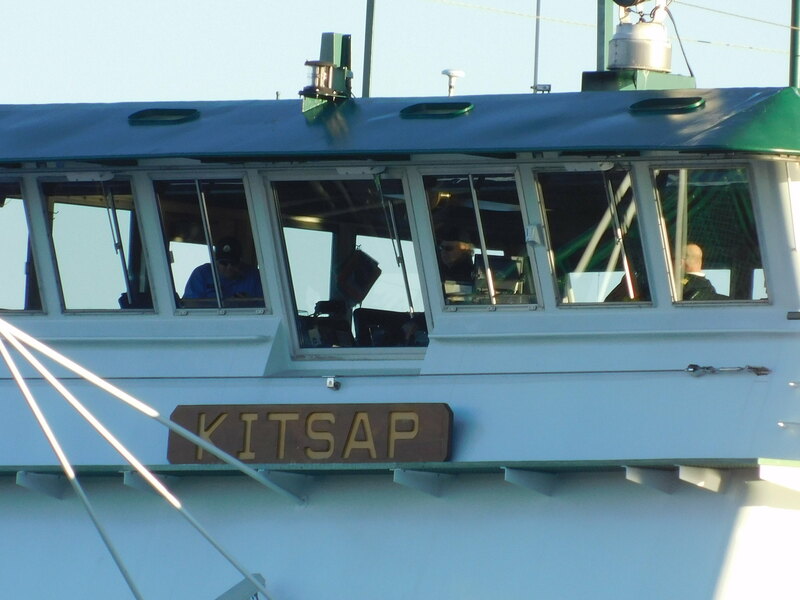 The duo was seen and identified by a Kitsap crew member. "(The suspect) said it was a new toy and he was shining it at the water and didn't mean to shine it at the vessel," Washington State Patrol Sergeant Tina Martin told the TV reporter. There's no word yet what charges, if any, will be pursued against the man who aimed the high-powered laser. The alleged culprit was not identified in KOMO or AP reports on the incident. Injuries from lasers used against passenger-vessel pilots are not common, but they do happen. The Congressional Research Service produced a report for Congress on lasers being aimed at aircraft, which noted one case in which a copilot received "burns on the outer coating of the eye and broken blood vessels." Last time I was on Orcas, Kitsap was subbing for a broken-down Yakima, so I managed to get some shots of this vessel outside her traditional home waters. Of course, it's not the first time Kitsap has pulled duty in the islands, and most likely will not be the last time, either. 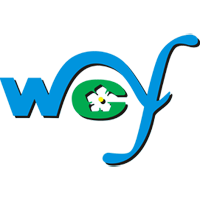 Does anyone know what WSF did to fix the engine in which the crankshaft broke. I know on the New Westminster, BCF re-engined her. Same with the Kitsap. They replaced the engine. With the same model engine? If so, are the engines rebuilt or brand new? Or are they mismatched models? Does anyone know why the Masts of the Issaquah class have the upper half painted black? So that the soot-stain won't be visible. Back in about 1965, the then senior master of the WSF's fleet, a Captain M Jaggr, said, "I see all those white masts and I want them painted black!" And only the Issaquahs were painted? Or were others painted back to white later on? Heh. Took me a moment. Well played.